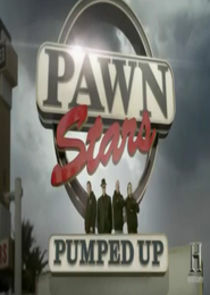 Airs Extended Enhanced Episodes with extra information, deleted scenes and bonus unseen footage from the show Pawn Stars that also airs on the History Channel. After test-driving the infamous O.J. Simpson Bronco, Rick must decide whether to purchase this million-dollar item; a rare silverware set; a 1978 "Star Wars'' comic; enhanced.